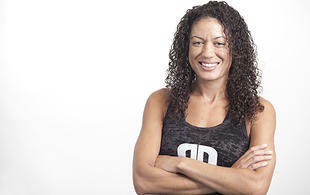 Sonda has been working as a Personal Trainer and Nutritionist for more than 10 years. Prior to her move to Los Angeles in 2000, Sonda was working as a Wildland Firefighter for the Department of National Resources in Washington State. With her lifelong athletic background of track, cross country and collegiate basketball and long line of great training mentors, Sonda has carved out a sports specific training style based on passion, integrity and discipline. Sonda’s favorite part of working in Fitness and Wellness is being part of a global community dedicated to helping people live better. She will continue to explore new ways to excite and ignite the inner athlete in us all.